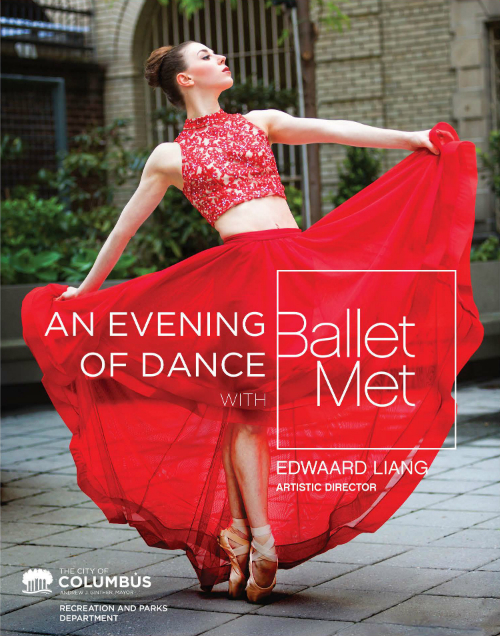 Join BalletMet (https://www.balletmet.org/) for an evening of inspiration alfresco. This co-production with the Columbus Recreation and Parks Department will celebrate the past, present and future of BalletMet. With the backdrop of the city, enjoy some of the most iconic moments from BalletMet’s upcoming season, packed with company and world premieres and featuring cutting-edge works. Renowned for its versatility and innovative repertory, BalletMet maintains its commitment to the creation of new work and the re-staging of contemporary masterworks with the goal of ceaselessly stimulating and inspiring audiences, time and time again.